Now we don’t mean to gossip, but we can’t hold it in any longer! Did you hear? None other than Martha Stewart herself visited our store last week! Yup. Right here in little ol’ Laguna Beach. We gracefully resided in star-struck awe for mere moments. Ok, we held our breath till she left, all while helping her buy a few great items with the largest silly grin of pure happiness on our faces! Martha and a female friend circled the store for quite a while, studying everything high and low. They both were nicely dressed and effortlessly coiffed, as Martha always seems to be. Surprisingly she even wore stilettos on their shopping trip – a modest height but a fun and fancy touch for business attire. Have we told you lately, Martha? You look gooood!! 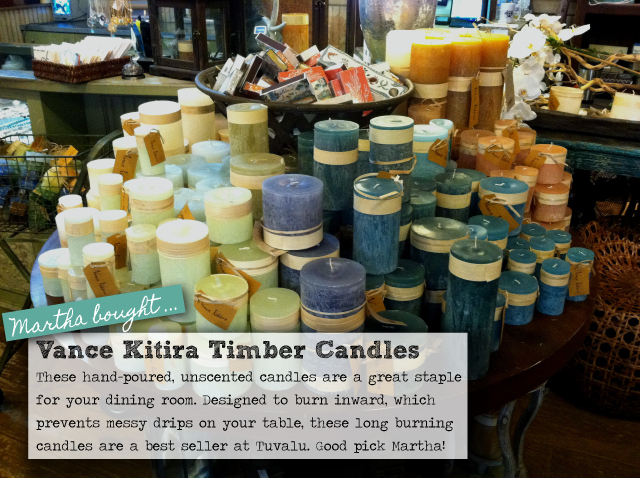 They took photos here and there of the store and even posted about our Arte Italica and Sea Fan art on her blog. 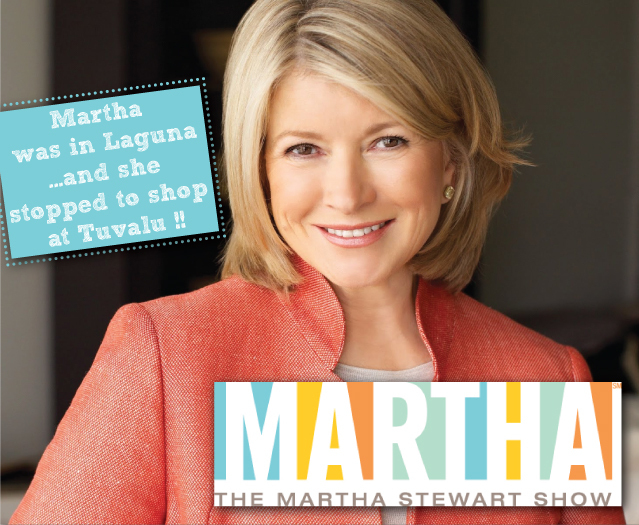 That’s right Tuvalu Home is featured on Martha’s blog! Well ok, we make a cameo appearance in photos 2 and 5. And she may only mention another store from down the street. But hey, we aren’t complaining – we got to meet Martha! And maybe someone over there reads our blog and will catch the omission? Maybe!? Make sure see the pics of our store and to read more about her stay at the Montage on Martha’s blog. But before you go, peek inside Martha’s shopping bag and see what she bought at Tuvalu in the pictures below! Hope she didn’t steal all your great ideas…. well maybe she can learn something from the talented ladies of Tuvalu!!!! !